Trappist beer is not a type of beer. 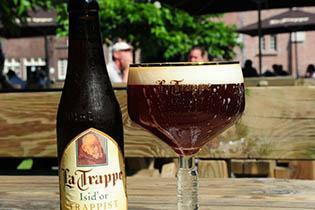 It is beer that is brewed by a Trappist order of Catholic monks. Trappist abbeys are located in gorgeous pastoral countryside where connecting to the earth and to the divine almost comes naturally. Abbeys open their guest rooms to people in need of a short spiritual retreat. Passing cyclotourists, however, are not permitted to enter the abbeys or the breweries. But fear not! For the hospitality of bars and restaurants in Brabant and Flanders is renowned! And so is the beauty of the Flemish and Brabant countryside. So you’ll still have a good time. 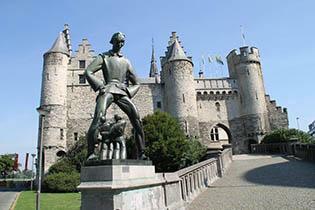 The famous city of Antwerp is one of the highlights of this tour. But charming villages such as Zundert, Hilvarenbeek and Merksplas will also leave you spellbound. Don’t you like beer? Don’t worry, the Trappist abbeys also produce cheese, jam, chocolate, honey, soap and candles. 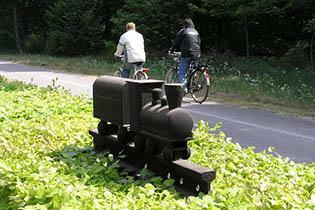 The last part of the journey follows “Bels Lijntje”, a Rail Trail between Tilburg and Turnhout, exactly 150 years old in 2017.